As the world's largest circulating collection of orchestral performance sets (a part for each musician and a score for the conductor), the Fleisher Collection has come to occupy a unique position in American music history. From its inception in 1909 as the personal library of America’s first training orchestra to the present day, the Fleisher Collection has become the singular most important resource on the Pan-American symphonic coming of age as the repository of archival correspondence with every major composer, conductor, and publisher active in 20th century music. During the Great Depression, the Fleisher Collection interested the government in the desirability of producing performance sets from manuscript scores by contemporary American composers so the music could be performed. In an initiative to put musicians back to work, under the Works Progress Administration, the Fleisher Collection sponsored the nation’s largest music copying project from 1934 to 1943, and added thousands of works by hundreds of contemporaneous composers to its holdings. 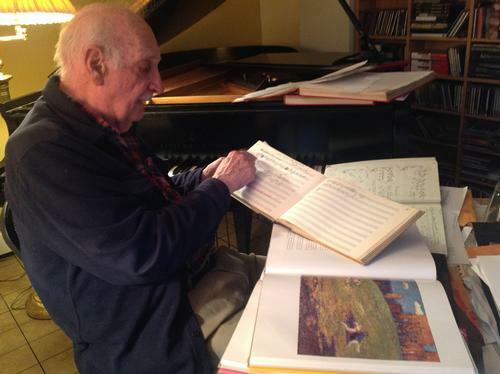 Henry Cowell (1897-1965) and John Cage (1912-1992) not only provided their own works to the Collection, but also helped the Collection acquire works by other important contemporaneous composers. Over the years, the Fleisher Collection has become the home for many "lost" works due to the destruction of war, the simoleon-centric mindset of publishers, and the absent-mindedness of composers themselves. Both Cowell and Cage, for example, asked the Collection to send them scores of their own works that they lost! The Fleisher Collection continues to partner with arts organizations and composers around the world as part of its longstanding commitment to promoting new, noteworthy, and overlooked works. The most recent iteration of this is the Free Library’s new partnership with the Barnes Foundation’s musical initiatives. 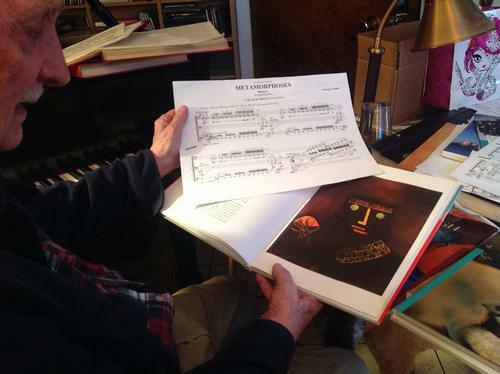 The Collection is honored to have the opportunity to help promote the Philadelphia premiere of, not only a local and living composer's work, but the work of one of the most significant musical innovators of our time. 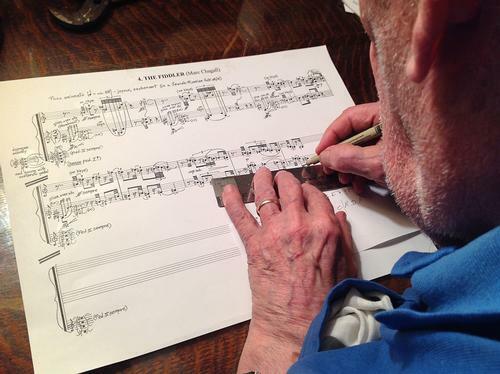 George Crumb’s (b.1929) Metamorphoses (2015-2017), his first major piano cycle since the 1970s, is the culmination of a long career of pushing musical limits and creating masterful compositions. A mark of great composer is accessibility. Crumb's compositions fall between the neoclassical style and the radically controversial avant-garde, allowing his music to attract audiences rather than alienate them. This recent collaboration with world-renowned pianist Margret Leng Tan (b. 1945), whose virtuosic performances have received critical acclaim for their expressive interpretations, is an opportunity not to be missed. This is the third and final post in a series that explored the three C’s relationships to each other, American music, and the Fleisher Collection.